Safely and comfortably manoeuvring on longer distances and various terrain – no problem with the C2000. Is outdoor mobility important in your everyday life? Do you like being out and about in nature? 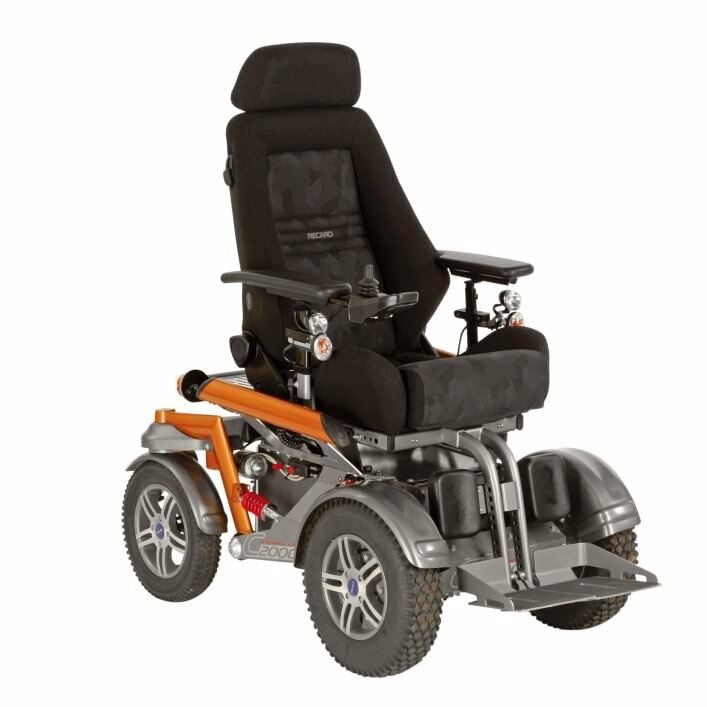 With the C2000 power wheelchair, you reach any destination quickly and in comfort: The innovative steering system assures safety at speeds of up to 10 km/h, on inclines and on uneven surfaces. 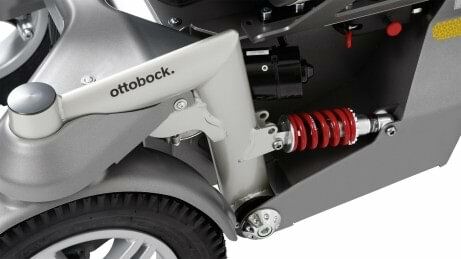 In combination with the right seat (Ottobock seating portfolio), the full suspension chassis offers maximum driving comfort – even over longer distances. The C2000 is available in a choice of front or rear drive. 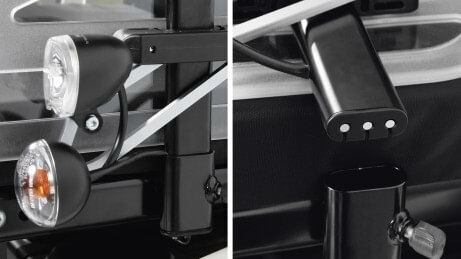 Integrated lighting and the luggage carrier are included as standard equipment. The self-contacting LED front lighting makes the side panel easy to take off for transfers. enAble50 control unit – you can't get more individualised. 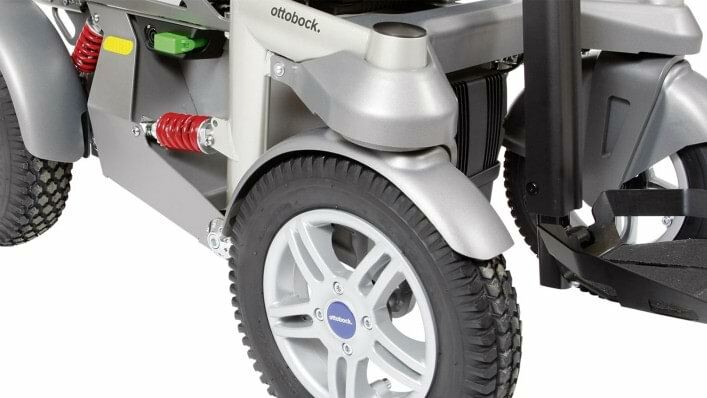 Precisely control the wheelchair with the enAble50 control unit. The menu features intuitive navigation. 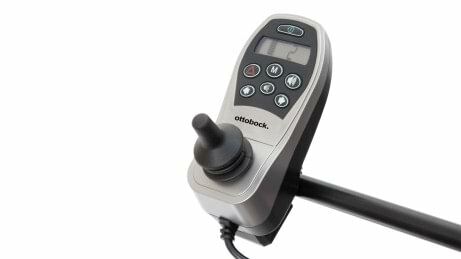 The enAble50 is also compatible with the full line of Ottobock special and custom controls. 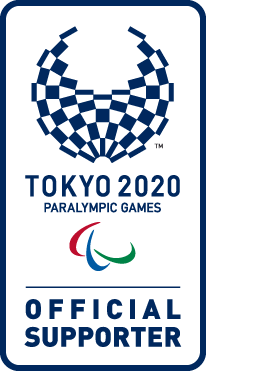 This means the power wheelchair can be tailored precisely to your requirements. The central legrest provides comfortable leg positioning. Various footplates for different areas of application and weights complete the selection. 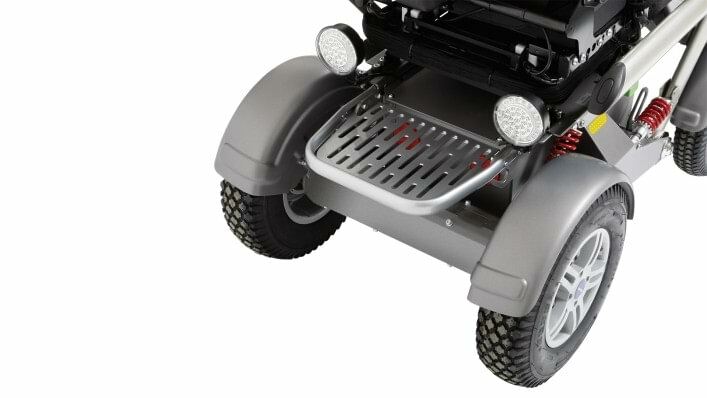 The full suspension chassis ensures a smooth ride, even in curves, on uneven terrain and at higher speeds. 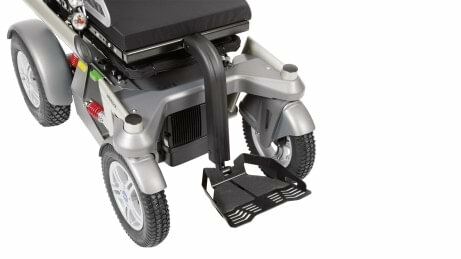 The removable side panel with self-contacting lights enables a straightforward sideways transfer. 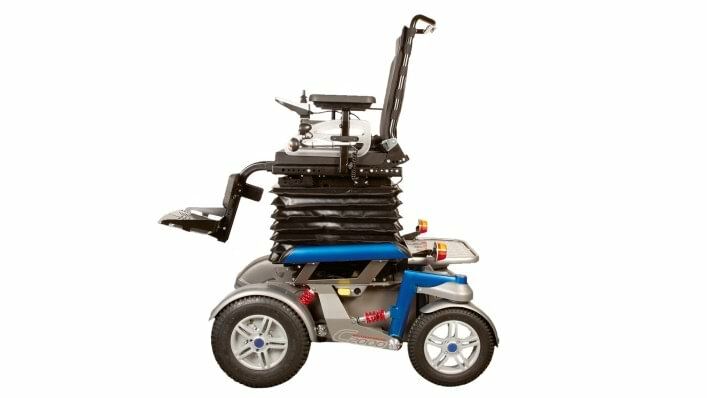 The innovative servo steering allows for safe driving over long distances, including inclinations and uneven terrain. At the same time, it makes the C2000 manoeuvrable, which is crucial when it is used indoors. 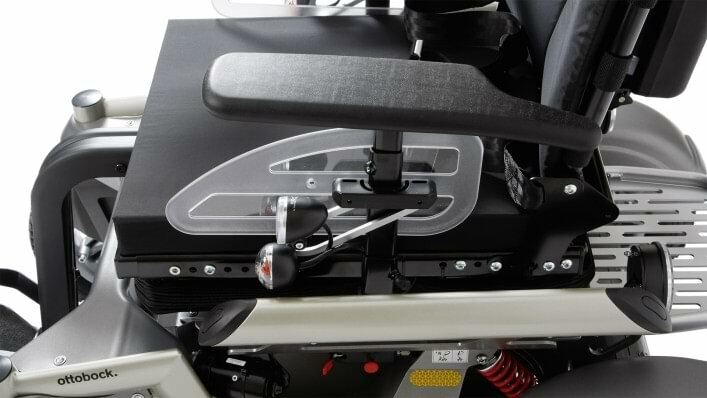 Power seat height adjustment up to 400 mm compensates for height differences and enables communication at eye level. At home this makes it easier to reach shelves and worktops. The standard luggage carrier is included with the C2000, which is available in a choice of front or rear drive. 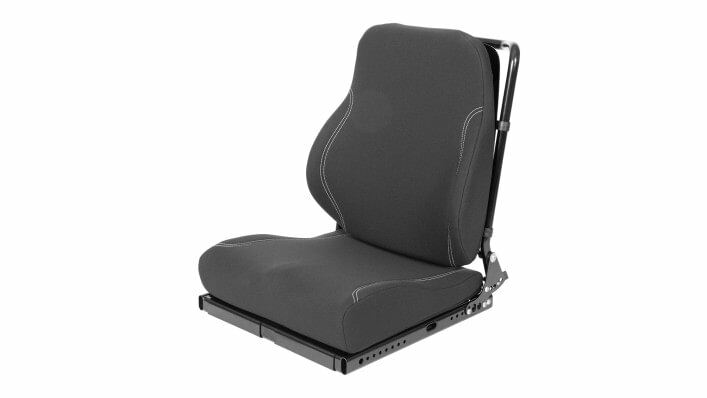 With our extended selection of sizes, contours and protective covers for your contour seat, you get more seat design options for your C2000.